Publisher: Steel Arts Software LTD. Developer: Steel Arts Software LTD. 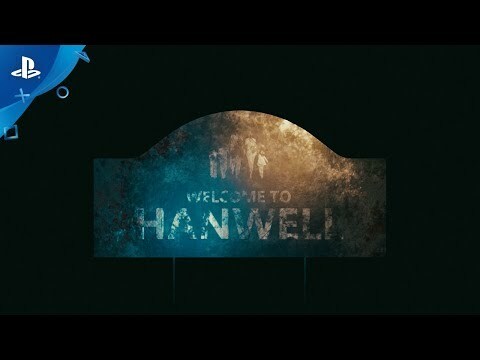 Welcome to Hanwell, once a safe haven from the horrors of the world, now a cesspit of anomalous scum. Explore a dense open world of terror, every building a unique location with its own story to tell. Strung together by the remnants of Hanwell. Monsters, known in the game as Anomalies, roam the streets. They occasionally get into the once-protected buildings. What you do with them is up to you--be resourceful and pick up whatever you can find in order to fight them, if you think you can handle it. Or run. And don't look back. There is an entire city to explore, featuring different environments, each more distinct than the last. From residential homes, old English pubs, parks, stores, supermarkets and government buildings, all the way to the infamous HCPP research center. Each location holds its own backstory, leading to your arrival. Upon which there will always be something happening. Providing equipment and expertise on prevention and preparation. With the help of the HCPP, Hanwell became one of the safest, if most inconvenient places on the planet. But the council has fallen. You try to carry on as normal, but failing equipment and lack of warning has become a major issue. In addition to this, you are being stalked by a mysterious individual who seems to be everywhere. © Steel Arts Software LTD.